Ramadan is just around the corner. It is the time for worship and self-improvement. Will it be another great one for you or will you let this Ramadan go by without improving any aspect of your life? At any time, we could all do with improving our parenting. 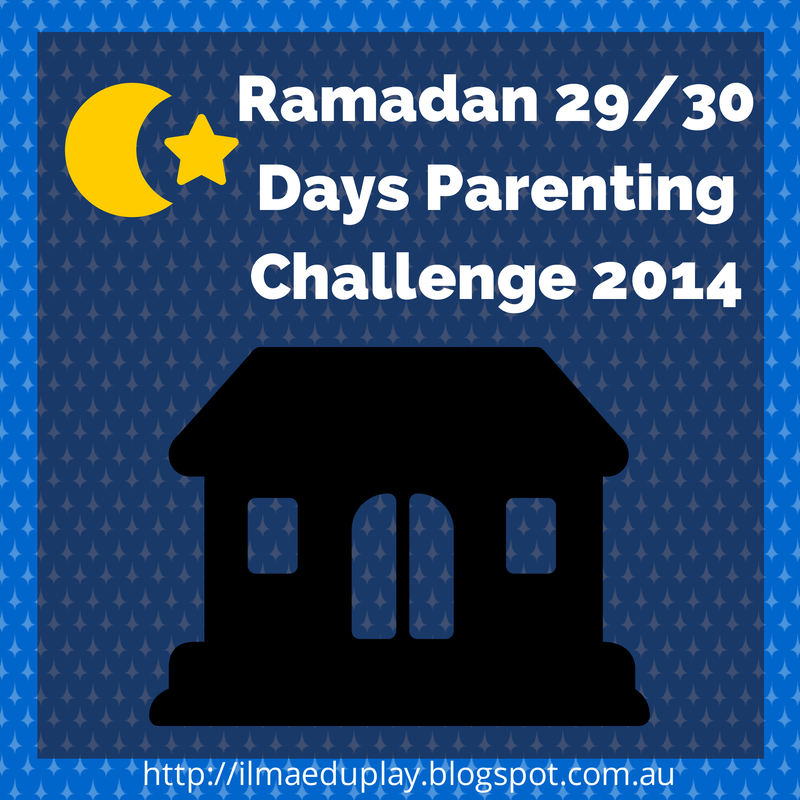 To make this Ramadan especially rewarding, will you join me for 29/30 days in which to focus on an aspect of parenting? This is how it works: each day I will post the challenge of the day on my blog (http://ilmaeduplay.blogspot.com.au). You read the suggestions on how to go about it then work on it. Next, look out for the next day’s challenge. Simple. If you don’t want to miss out on any of the challenges then please follow my blog and sign up by submitting your email address (to ilmaeduplay@gmail.com) so that I could put you on the Ramadan Challenge list and an email will arrive in your inbox each day. -Ramadan is a month of mercy –> merciful parenting. I look forward to having you along the ride as we travel the path of better parenting this Ramadan, inshaAllah. Thank you for the best wishes. It was lovely to read about Ramadan in the Philippines and the food looks delicious - some of them reminds me of Indonesian food!